Fill up all the account details, subscription details and submit. 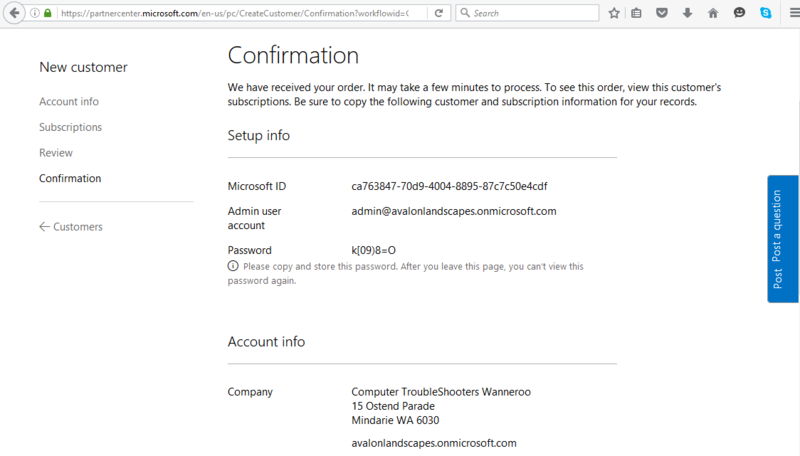 Copy and paste their admin credentials before pressing "Done" button. 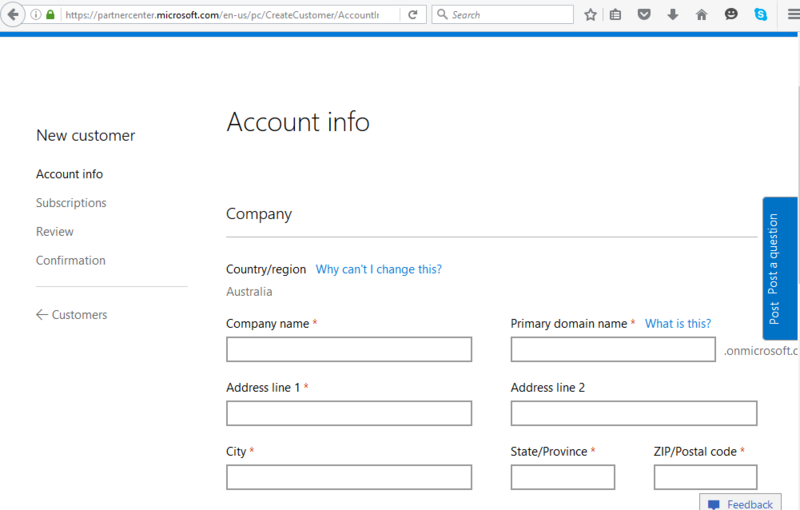 Create a new ticket via Kayako to send those admin details. 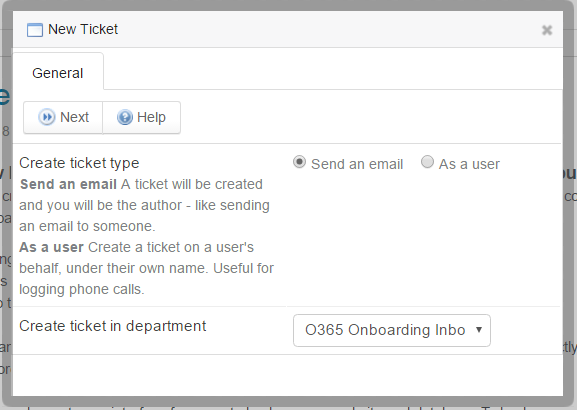 Click ticket > New Ticket >Choose Create Ticket "Send as Email" & Create ticket in department "O365 Onboarding Inbox" and press Next. 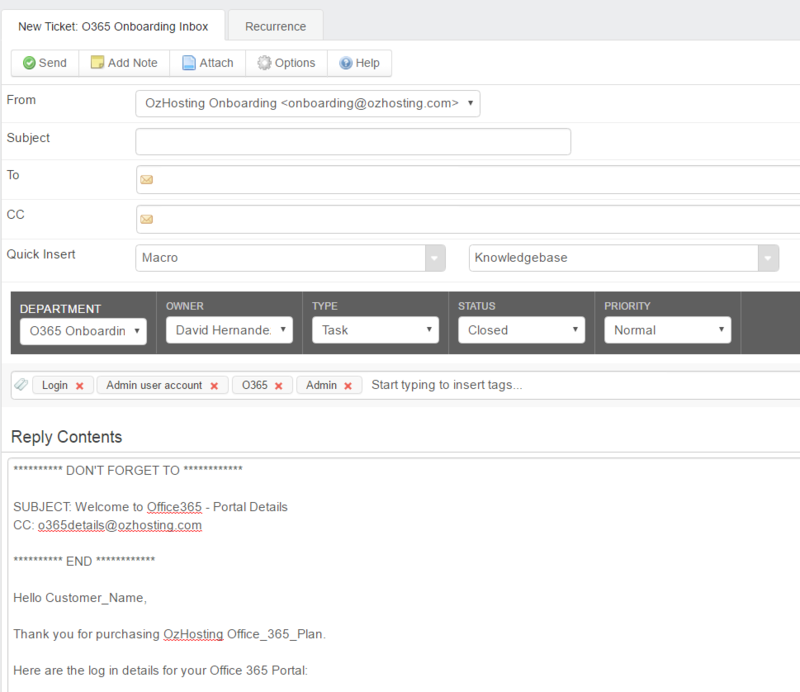 Click Macro > O365 Onboarding > Choose O365 OB Welcome to Office 365 (Portal Details) Template.